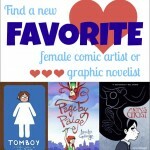 Graphic novels can offer a wide range of perspectives on a shared topic, from extremely personal biographies and autobiographies to historical fiction to journalism. 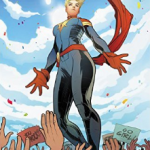 In the case of books about refugees, graphic novels offer the opportunity to tell deeply personal stories from a variety of perspectives while also sharing compelling images that bring the reader into the story in a way that is hard to do with words alone. 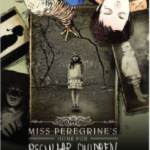 The books in this list can be a powerful way of teaching young readers about the real lives of refugees around the world and throughout history. 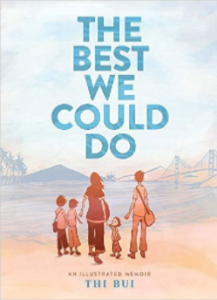 The Best We Could Do by Thi Bui – Weaving together the stories of multiple periods in the lives of Thi Bui’s family members, this graphic memoir is simultaneously a story of war, the refugee experience, and parenthood. The book opens with the author in labor with her son. Her experience of becoming a new parent serves as a jumping off point for a reflection on her parents’ experiences growing up in Vietnam during a time of turmoil and multiple wars, culminating in her family’s escape to a refugee camp in Malaysia when Bui was a child. Through her consideration of her own childhood and those of her parents, Bui shows the long shadow that these traumatic experiences can cast and offers a window into one type of refugee experience. Soviet Daughter: A Graphic Revolution by Julia Alekseyeva – Julia Alekseyeva tells the story of her great-grandmother Lola interspersed with biographical segments about her own life growing up as part of an immigrant family. Starting with her childhood as a poor Jewish child outside Kiev, this book traces Lola’s life through the Bolshevik revolution, her time working for the Soviet government, and her decision to move to the U.S. as a refugee. The book covers her time in the Red Army and her work as a secretary for the predecessor to the KGB, which will offer readers a peek into a fascinating part of history. Azzi In Between by Sarah Garland – This book follows a young girl as her family flees their war-torn home country. Covering their terrifying escape, the book focuses largely on the journey of the family as they adapt to their new country and new life. The book offers a glimpse of the difficulties that refugees face, including Azzi’s stress about her grandmother who stayed behind when the family fled, and her efforts to learn the language of her new home. Though this book is geared towards somewhat younger readers, it is nevertheless a worthwhile read those who want a perspective on life as a refugee. 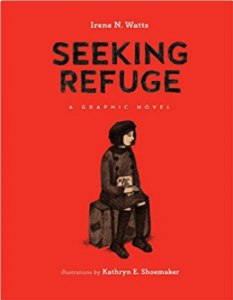 Seeking Refuge by Irene N. Watts with art by Kathryn E. Shoemaker – During World War II, many individuals were forced to flee across Europe to avoid the Nazi forces. This graphic novel follows a young girl as she escapes Nazi-controlled Austria alone and resettles first in London and later in Wales. 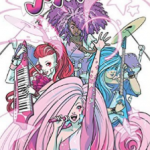 Readers see her as she struggles to adjust to her new life and the expectations of those who take her in. Along the way she experiences isolation and antisemitism The story offers meaningful insight into the experience of Jewish refugees during World War II and the Holocaust. Rolling Blackouts: Dispatches from Turkey, Syria, and Iraq by Sarah Glidden – When Sarah Glidden is invited to accompany two of her journalist friends to the Middle East as they conduct research, she takes the opportunity to interview a number of refugees and others who have worked with refugees. The result is a compelling and sympathetic look into the refugees who have fled the war in Iraq. This is a good read for those interested in the Iraq war and the modern refugee situation in the Middle East. 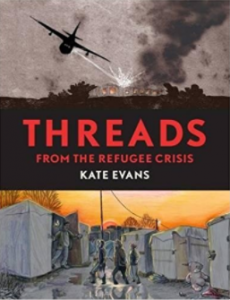 Threads: From the Refugee Crisis by Kate Evans – Kate Evans’ new book recounts her time volunteering at the refugee camps in France and is an informative read. Evans not only recounts the story of her own work as a volunteer, but also brings to life the experiences of many of the refugees she met there. This is a good option for readers interested in learning more about the refugees living in the “Calais Jungle”. Have you read any of these books or others on the refugee experience? Let us know in the comments. A great list. Last year I also learned a ton from these: “I Remember Beirut” and “A Game for Swallows,” by Zeina Abirached, and “Baddawi,” by Leila Abdelrazaq.